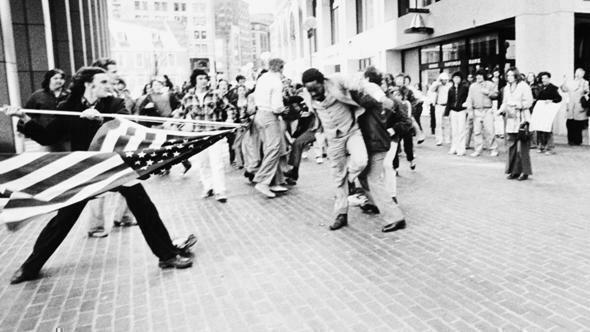 Before the Canadiens-Bruins series, the mayors of Montreal and Boston made a friendly wager: The flag of the winning team would fly over the losing town's city hall. You know how that series went, so today, Boston paid up. The bare minimum, anyway. A Habs hankie now waves proudly above Beantown, opposite the American flag and flanking the state flag, and will remain for the next week. We wish it the best of luck. 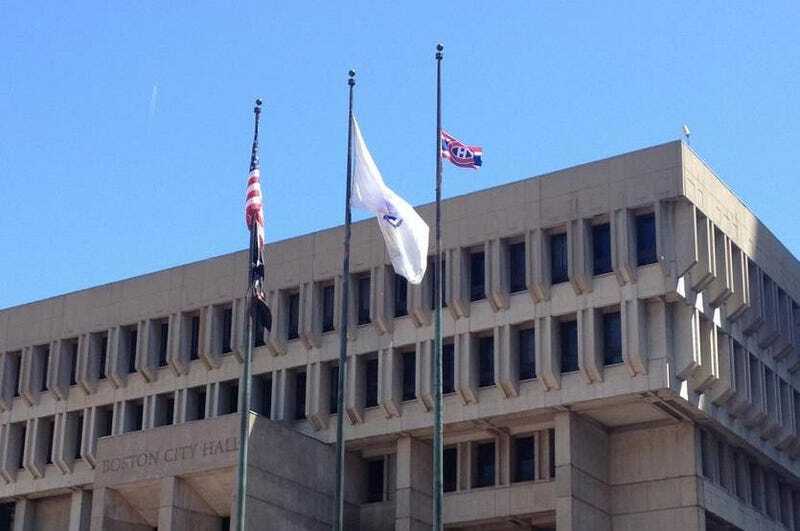 Update: The flag was sent by the mayor of Montreal, so no need to blame Boston for its puniness. But, dream bigger, Montreal! Montreal should not bask in civic effrontery for too long—Mayor Denis Coderre made another bet with New York City's Bill de Blasio over the outcome of the conference final. The winner's flag will again fly above the loser's city hall, and as an added humiliation, the losing mayor must declare the winning city's bagels superior.